We provide customized solutions to help you meet your financial goals. Our goal is simple: to serve as your primary advisor and grow with you through all of life’s stages. The Forte/Gaynor Wealth Management Group was formed in 2002. 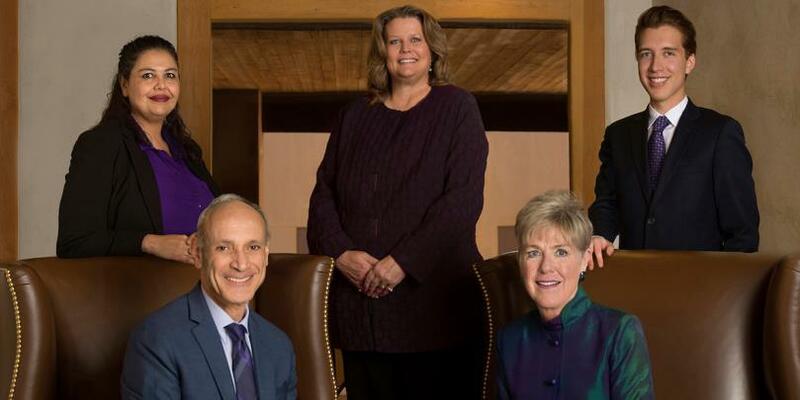 We are a Santa Fe based multi-generational wealth management team serving families, businesses and non-profits throughout the country. Our team of professionals provides a comprehensive approach encompassing investments, financial planning, estate and legacy planning strategies to help meet your specific needs. We serve our clients with integrity. We are one of the few Morgan Stanley teams, nationally, with two Family Wealth Directors. The designation grants our team unique access to an exceptional group of wealth management professionals across our firm in various specialty areas providing additional value to our clients. This distinction, along with the other certifications acquired by team members, demonstrates our extensive knowledge in comprehensive wealth management strategies and dedication to lifelong learning. Our team’s objective is to provide exceptional personal attention and service while delivering customized advice to successfully integrate your life, wealth and goals. Our collaborative approach is an interactive wealth planning process that begins with listening. We want to get to know you and your goals through in-depth conversations. Perhaps your primary goal is an independent and dignified retirement, your family’s financial wellbeing, philanthropy and your legacy, or some combination of these. Whatever your priority, together we will create a plan tailored to your specific needs. We recognize that all plans must remain flexible, therefore, we schedule regular meetings to review your portfolio, as well as important changes to your life. A professional in the financial services industry since 1977, Charles began his career with Merrill Lynch in November of 1977. After forming the Forte/Gaynor Group with Deborah Gaynor in 2001, they moved their team to Morgan Stanley in 2008 to take advantage of the breadth of investment and research services available. As one of approximately 700 advisors at Morgan Stanley who achieved the prestigious Family Wealth Director designation, Charles and Deborah met stringent quantitative and qualitative requirements set by the firm. They successfully completed the rigorous program, positioning the team as an alternative to a family office. Charles sets the long-term direction of the team’s investment strategy and concentrates on securities selection, risk control and asset allocation for the team’s discretionary investment strategies. Born and raised in Albuquerque, New Mexico, Charles has lived in Santa Fe since 1976. 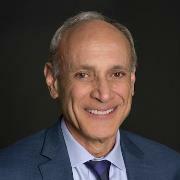 He earned his Bachelor of Science degree in Chemistry at the New Mexico Institute of Mining and Technology and Bachelor of Arts degree in Accounting from the University of Albuquerque. He completed the Certified Portfolio Manager certification from Columbia University in May, 2011. When out of the office, he enjoys exercising, reading and remodeling his home. 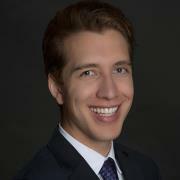 Charles also serves as Secretary for the Aspen Santa Fe Ballet and is a board member of the Santa Fe Opera. He is past President of Visiting Nurse Services and past Treasurer of the Santa Fe Chamber Music Festival. Deborah began her career in financial services as an estate planning specialist with a concentration in the areas of estates, trusts, tax and estate design. In 1983, she left Arizona and moved to New Jersey as an Estate Planning Specialist at Merrill Lynch. During her time at Merrill Lynch, she designed and reviewed over 1,000 legal documents and estate plans for the clients of financial advisors in 18 offices. 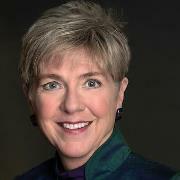 She moved to Santa Fe in 2001 and formed the Forte/Gaynor Group with Charles Forte at Merrill Lynch. In 2008, she and Charles moved their practice and team to Morgan Stanley. Her emphasis includes portfolio management, estate tax planning strategies and philanthropic designs for individuals and their families. In August 2015, Deborah and Charles earned their Family Wealth Director accreditation; a rigorous, advanced study in wealth management covering such topics as closely held businesses, family wealth dynamics, restricted stock, unique insurance needs and wealth management for higher net-worth clients. There are approximately 700 financial advisors at Morgan Stanley who have earned this designation. Deborah’s professional credentials include Chartered Life Underwriter (CLU) and Chartered Financial Consultant (ChFC) from The American College in Bryn Mawr, Pennsylvania. She received her Bachelor of General Studies Degree and Master’s Degree from Kent State University. - Treasurer and board member of the Santa Fe Botanical Garden. Deborah is a triathlete, and competes in several local and national triathlons each year. When not working or training, she plays piano and tours the southwest with her husband in their vintage and performance cars. Dotti’s many roles in the financial services industry began in 1989 in the Santa Fe office Merrill Lynch. She moved with the team to Morgan Stanley in 2008 and over the years, has developed essential skills and knowledge in many areas of the investment business. She provides many services for the Forte/Gaynor Wealth Management Group at Morgan Stanley, specifically related to the team’s portfolio analysis, technical reporting, and company research. Formerly a Wealth Management Associate, in 2015 she was selected to enter the Financial Advisor program. Her experience and this new role allow her to provide support to the team on complex and technical matters regarding clients’ investment, estate, trust, retirement, and insurance strategies as well as introducing our financial services to our clients’ children and parents. Her client centered focus has led her to acquire additional skills which have been especially helpful for those who find themselves in a life changing transition. Dotti has lived in Santa Fe since 1978. Her adult children now have children of their own. Her son graduated with his Bachelor’s Degree in Electronic and Computer Engineering Technology and is now a computer programmer with a Fortune 500 company. Her daughter was an Early Childhood Teacher until she became a mother. Serving our community is of great importance to Dotti, especially when it involves youth. Over the years her children provided countless volunteer opportunities. She is especially proud of her involvement with one of Santa Fe’s charter schools. Dotti spent several years serving as President of the school’s foundation, assisting in the early stages of its development. She currently serves as Treasurer for the board of the Santa Fe Mountain Center, whose mission is to transform lives and strengthen communities through personal discover and social change among youth and families. She also serves on their Finance Committee and Development Committee. 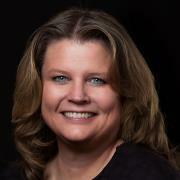 Bernadette has multifaceted responsibilities all of which are centered on providing extraordinary client service. Among her many contributions to the team, she coordinates the groups overall day-to-day operations, and implements computer-based business management systems that increase efficiency in handling client requests and service matters. Her capabilities in this position are greatly appreciated by all who experience her professional demeanor and rapid execution of requests. Additionally, in her new role as Portfolio Associate, she provides essential technical support for the management of our various investment portfolios; from tracking bond prices to calculating stock values. 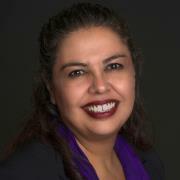 A Santa Fe native, Bernadette, formerly was a manager with Wells Fargo Bank and worked for Merrill Lynch. After five years with Merrill Lynch, she joined the Forte/Gaynor Team when they moved their practice to Morgan Stanley. She has her accounting certificate from DeVry Technical Institute in Phoenix and has attended Santa Fe Community College to work on her computer science degree. In addition to raising her daughter, Bernadette is a former coach for basketball, softball and little league baseball. She still remains a dedicated sports fanatic and enjoys reading historical fiction. Brandon Gonzales joined the Forte/Gaynor Wealth Management Group at Morgan Stanley in July 2016. In his role as Registered Client Service Associate, he coordinates the administrative details for new relationships, provides service for our existing clients, and ensures a smooth client-centric experience for everyone. Brandon holds his Bachelor of Arts degree in Sociology from Occidental College in Los Angeles. He brings to the team his experience working with nonprofit organizations on their event programming and communications initiatives, in addition to his experience working in the hospitality industry. Of his many interests, he enjoys getting outdoors, traveling, and participating in the performing arts. Ready to start a conversation? Contact Forte/Gaynor Wealth Management Group today.